Night Treks are fun yet a little risky! Not many prefer a night hike, for the obvious reason of visibility. However, for some, night trekking is a unique adventure which is a must try. There are many more things to keep in mind before planning for a night trek. So, here are some useful tips for night treks which you should register before hiking off on a dark-hilly side. Night Trek needs a little more pre-planning than the morning hikes. Not that mishaps doesn't happen during morning hours but a journey in the dark is tedious. So, it is necessary to have a solid pre-planning. It is always good to have company during hikes. Especially, during the night treks a group of people will surely make the trip. Since you can hardly see anything at night, a group of people can give you nice company through the journey. Of course, there are adventure junkies who go on solo treks. Though it sounds a little scary, it can still be done. However, make sure you have a perfect plan and all the safety measures which you can think of. Obviously you can't go on a night trek without these things. Most night hikers prefer headlights which give them a far vision. Even flashlights and torches come in handy. You can also carry mobiles with flashlights in case of emergencies. Please check on the battery and carry extra batteries so that you won't get stuck because of lack of visibility. You are going on top of a hill or through a forest means it is prone to sudden climatic changes. Especially, during nights and early mornings the weather is quite chilly as your are several thousand feet above the ground level. So, wear warm clothing and full arm tops to avoid insect bites. Also carry waterproof jackets in case it starts to pour. It is necessary to pack light for any treks but you should keep water and snacks. Treks are dehydrating and difficult to manage. So, carry glucose packets, water bottles and some eatables which will energize you. It is always beneficial to have a guide for such treks. It is possible to get lost in the night treks. So please take a guide or a person who knows the trail really well. Night treks are interesting and overwhelming; it is not easy as it sounds. However, you can still have a gala time during night hikes. 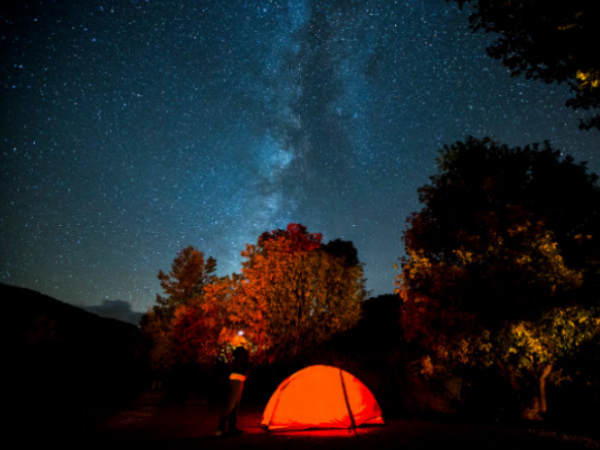 We hope you enjoyed reading these tips for night treks.